Open your group which you wanna mute. Now go in ‘Options’ > ‘Mute’. 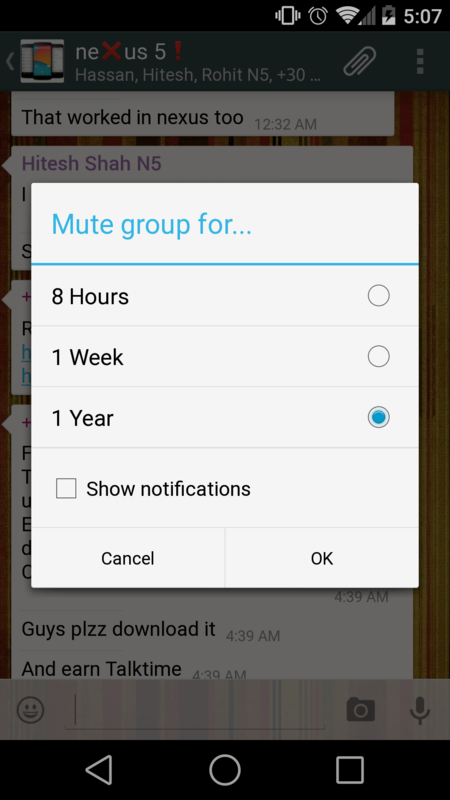 A dialog box will pop up and as of WhatsApp version 2.11.399 select the max period available to mute your group which is ‘1 Year‘. Untick the ‘Show Notifications’ checkbox. Then click ‘OK’. You won’t receive any notifications now from this group on your status bar.